In 2010 I left my longtime work as a motorcycle courier and headed to DC for a long-put-off knee surgery. 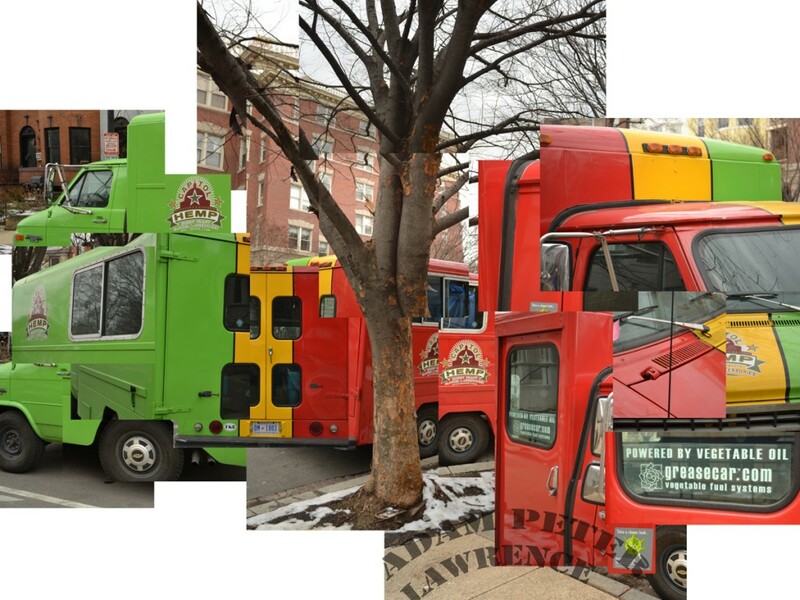 In early 2011, I took the first chance I could to get out on my bicycle, and the ride led me to this bio-diesel powered truck near Adam’s Morgan. I could not resist the Rastafarian theme and the images produced this cross-hatch shape, bisected by the tree.